Last night the winner of the second 2016 review round was announced – Women of NASA by Maia Weinstock. I think it was perfect timing for this announcement, given the rave reviews of the Hidden Figures film, depicting the story of three African-American women in NASA. 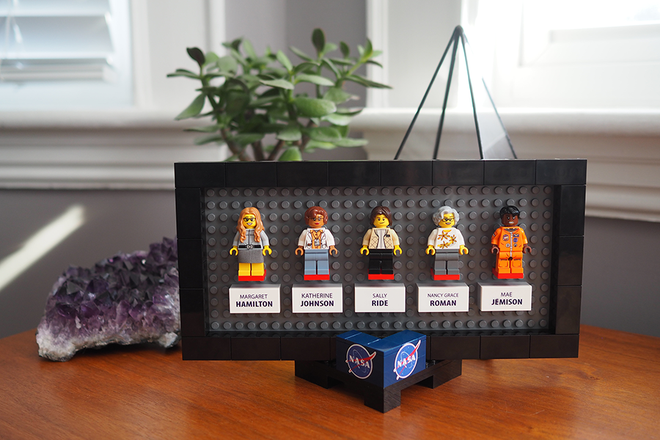 Maia is a science editor and writer herself, so it was fitting that such a set was created, celebrating the story of women in STEM (Science, Technology, Engineering, Mathematics). 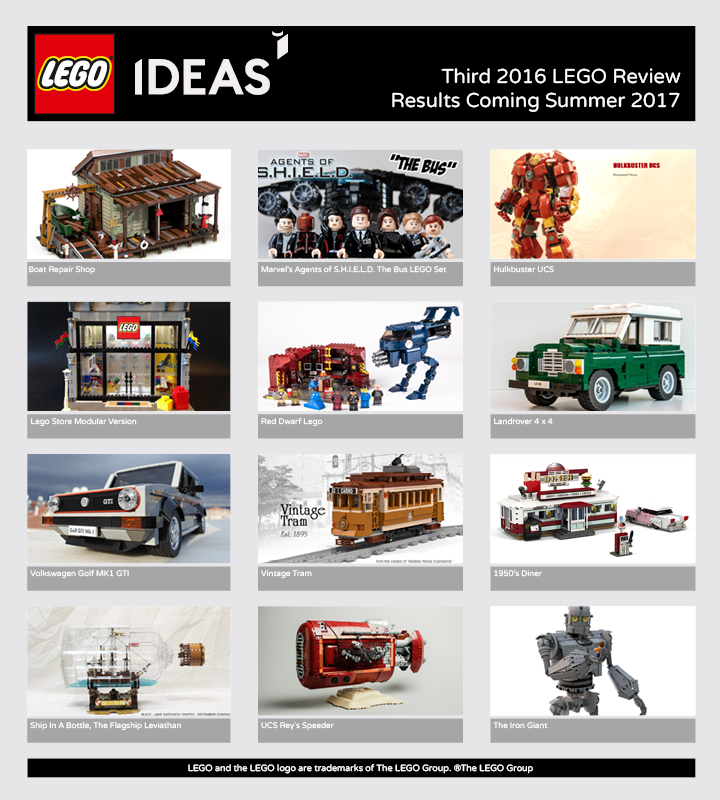 You can read the 10K Club interview Maia did recently on the LEGO Ideas blog. ​There’s no idea about what the final set will look like, but the five characters – Margaret Hamilton, Katherine Johnson, Sally Ride, Nancy Grace Roman and Mae Jemison are locked in. If you want to find out more about these pioneers, check out the brief bios on the LEGO Ideas project page. There is also no idea about pricing, but that will all be made clear in late 2017 to early 2018. 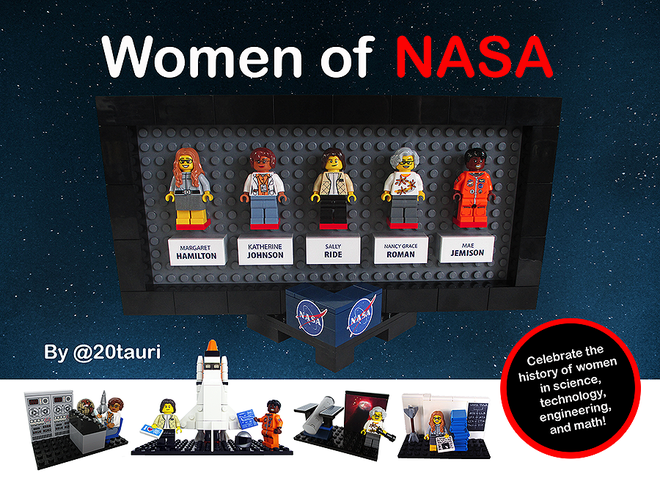 ​There are some excellent little vignettes of each of the Women of NASA, as well as a mounting plate. All in all, I think it’s a great result, and hopefully will help inspire more girls to get into a STEM profession. Nice work LEGO! 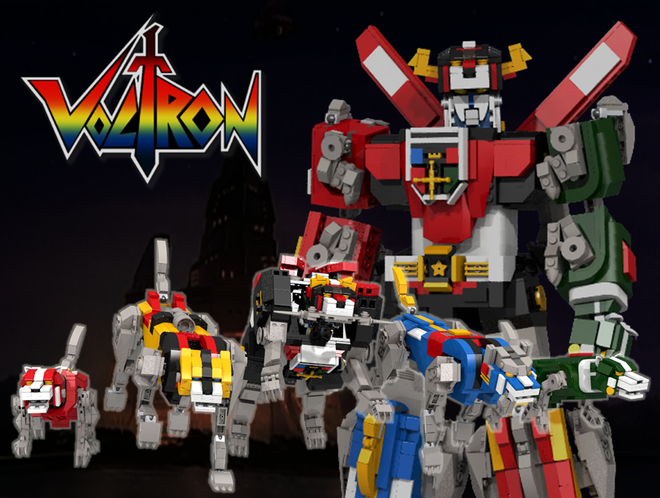 There were some other massive projects included in the round, many of which were enormous, but there is one other set that is a question mark – Voltron – Defender of the Universe. The LEGO Review Board needs a bit more time, so an update on this set will be given in the third 2016 Review Results announcement. I think that project is a sure fire win, and is bound to be popular, but we’ll have to wait and see. ​We’ve still got two other excellent sets to be released, with Apollo 11 Saturn-V expected mid this year, and the stunning Old Fishing Store some time in 2017 as well. Having the rocket with this set will be an excellent display, and some incredible teaching tools. I can’t wait to get my hands on them. ​The next review stage includes some incredibly strong looking projects – it will be very interesting to see what happens. I’ve got a number of favourites. I’m surprised at a couple of the inclusions – namely UCS Rey’s Speeder and Hulkbuster UCS, due to the existing relationships between the IP. My hopes are either for the Ship in a Bottle, 1950s Diner, LEGO Store or Boat Repair Shop to get through. ​If you want to read the announcement, you can, as well as watching the announcement video below. ​What set are you hoping for, and what do you think about the result? Let me know!